Stop investing in activities that profit from this conflict now! 459 innocent children have been killed in Gaza. Despite the carnage, Israel assumes corporations like yours will keep investing -- there is currently no economic cost to their policy. Your company risks accusations of violating international law and complicity in the repression of the Palestinian people. Let’s keep covering their social media sites with personal messages that they can’t ignore, and remember that being polite and hopeful is the best way to persuade. Hewlett-Packard provides surveillance equipment that controls the movement of Palestinians, and its subsidiaries work in illegal West Bank settlements. Presbyterian churches just divested from HP because of its engagement with the repressive occupation. VEOLIA: THE TIME IS NOW! France's Veolia operates transport used by Israeli settlers illegally living on Palestinian lands. But new EU regulations and years of campaigning have Veolia at the brink of pulling out of the occupation economy. Let's push them over the edge now to urgently withdraw entirely. G4S: END YOUR CONTRACTS NOW! Security company G4S provides security systems for Israeli jails where children are being held for months and torture is being reported. G4S also provides security equipment used by the Israeli Defence Force in the occupation. After public pressure G4S said it will cut contracts in 3 years, but every day children are killed in Gaza, is a day too long for them to be engaged. Let’s send a clear message that they must end their contracts, now! Barclays WIN! Following our massive campaign, Avaaz staff met with the bank to drive home the importance of divestment and many other groups called for the bank to act. We have now been informed that since the end of last year Barclays has no beneficial ownership of any shares in Elbit Systems in any capacity, including as a hedge for client related business, nor does it hold any shares in nominee for clients. Barclays has also confirmed that it is not recommending Elbit Systems shares to clients via any trading platforms. We will keep Barclays' shareholdings in El Bit under review and stand ready to resume our campaign if needed. "Barclays win! Following our massive campaign, Avaaz staff met with the bank to drive home the importance of divestment and many other groups called for the bank to act. We have now been informed that since the end of last year Barclays has no beneficial ownership of any shares in Elbit Systems in any capacity, including as a hedge for client related business, nor does it hold any shares in nominee for clients. Barclays has also confirmed that it is not recommending Elbit Systems shares to clients via any trading platforms. We will keep Barclays' shareholdings in El Bit under review and stand ready to resume our campaign if needed." Our campaign is working! Barclays have released a *new statement* responding to all of our messages claiming they are "not an investor" in Israeli defence company El-Bit because they merely hold shares in El-Bit on behalf of Barclays clients. How does managing investments in El-Bit for Barclays clients leave their claims to be an ethical company that "is not an investor the defence industry"? This hair-splitting won't let them off the hook -- let's ramp up our pressure until they stop managing all investments in this conflict. The Gates Foundation has yet to respond to our campaign even though their Facebook and Twitter is being flooded by Avaaz members' comments. They already divested from G4S this year after public pressure -- let's keep it up and get another victory! We haven't heard a peep from HP yet. We know they are seeing our Facebook comments because they are replying to others, but they've yet to engage with Avaaz members on this issue. Barclays: We have another company's attention! Barclays has been posting a response to Avaaz members' comments on Facebook. Their statement says they do not invest in 'unjustified aggression'. But Barclays’ invests in El-Bit, an Israeli defence company which provides drones and military systems that have been used to bomb Gaza. 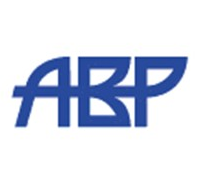 ABP: Our campaign has got their attention! Their new statement says these banks do not violate international law. But the settlements have been pronounced illegal under international law, and threaten to make peace impossible. Check out the live blog for updates on the right, and for more questions read our Q&A and sources. Click here to sign the petition if you haven't already.